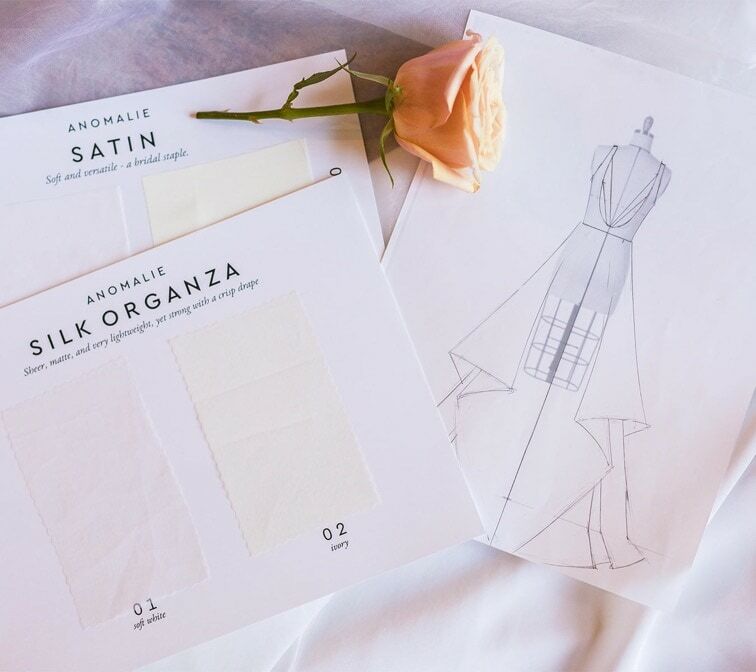 Our stylists and designers in San Francisco are ready to help make your dream dress a reality. Start sharing inspiration right away! We require wedding dress orders to be placed 8 months*** before your wedding date and suggest you schedule your initial consultations 9–12 months before your big day. Note: Discuss your alterations** timeline with your local tailor. * Timelines are subject to change depending on the complexity of the gown and how long it takes to finalize the design details. 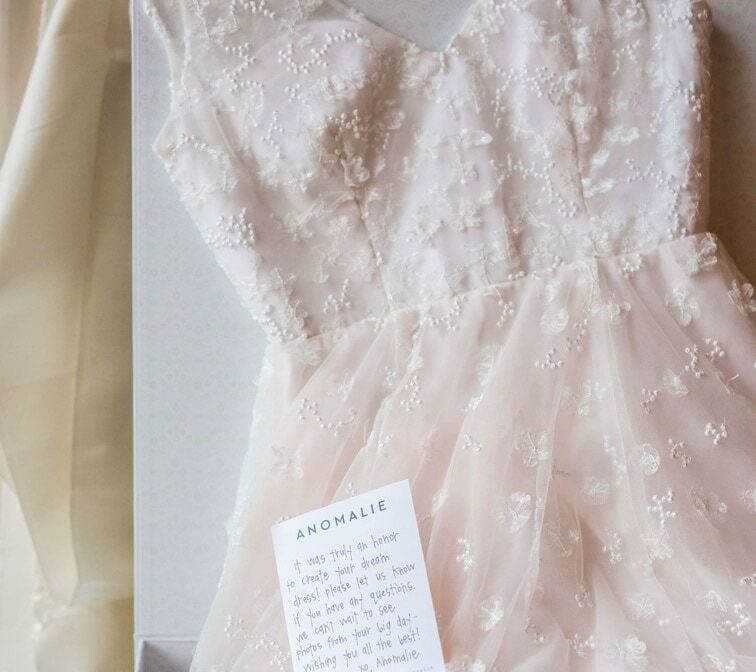 ** Alterations are not included in the price of your Anomalie wedding dress. 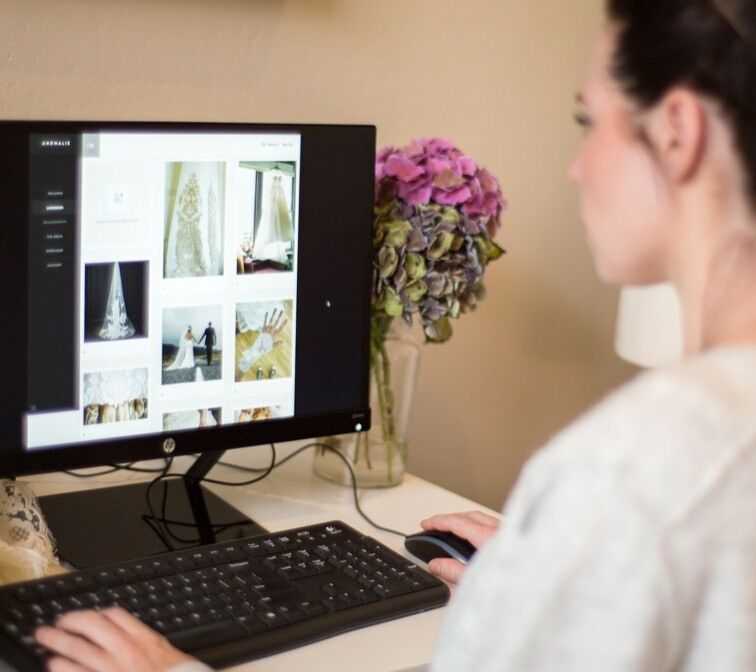 *** You can order your wedding dress 7-8 months out from you wedding, but you will be placed on an accelerated timeline with potential design restrictions.